Dare To Lead, the Team Partner that is unique in that it is promoting an inspirational concept rather than any particular organisation or geographical location, has announced that it will be expanding its Ambassador Programme towards including under privileged youngsters in the USA. Dare To Lead was founded by former Clipper 2009-10 Race crew member Dirk van Daele who has been running Corporate Social Responsibility (CSR) programmes through the Clipper Race, on a self-funded basis since 2013, to use ocean sailing as a catalyst for leadership potential. 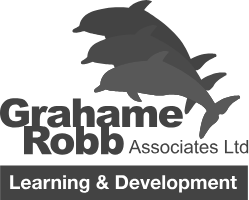 Up until now, his geographical focus has been on South Africa working with the Sapinda Rainbow Foundation. 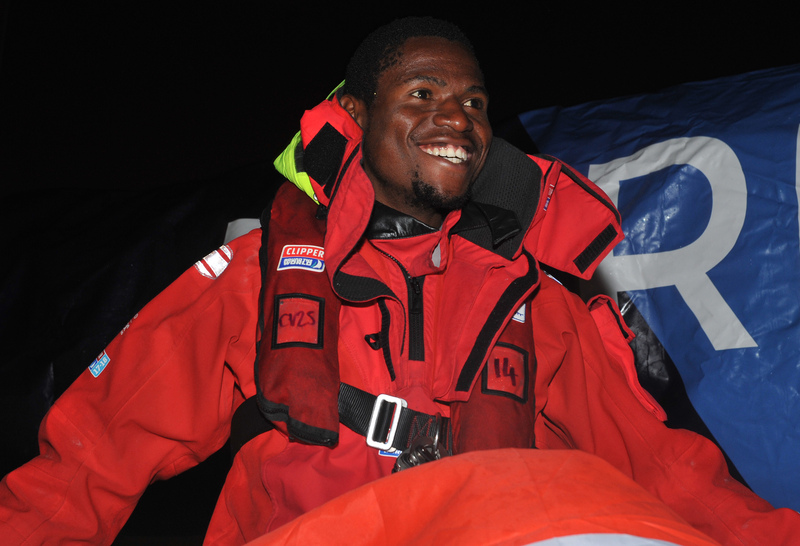 So far on this edition of the Clipper Race, the Dare To Lead team has been joined by Nqoba Mswazi on Legs 1 and 2, who also took part in the Clipper 2013-14 Race, and David Marige Moroko (known as Sello), who completed Legs 3 and 4; an incredible achievement considering that he had never even seen the sea before starting his Clipper Race training. 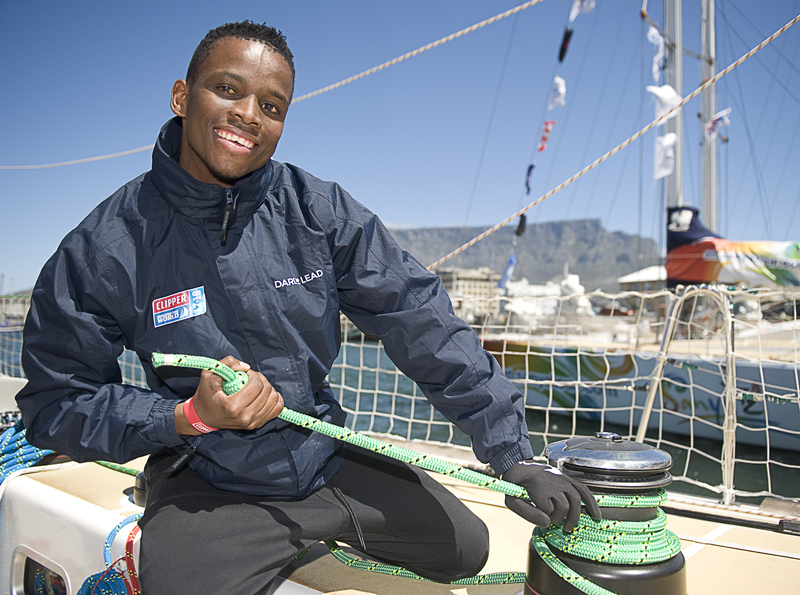 IMAGE: Sello in Cape Town ahead of completing Legs 3 and 4. IMAGE: Nqoba Mswazi arriving into Cape Town at the end of Leg 2. Now that the programme is expanding outside of South Africa and into new markets such as the USA, the branding on the Dare To Lead yacht is being refreshed in Airlie Beach in preparation for additional team supporters. If you are interested in working with Dare To Lead, or finding out more about its Ambassador Programme as details become available, please contact: DareToLead@clipper-ventures.com. You can re-watch on board footage of the Dare To Lead team as it took part in Leg 2 of the Clipper 2017-18 Race on YouTube.